“We Are On Our Own” in top 100 anti-fascist books! Tinet Elmgren sent this to me. A Literature Magazine in Sweden compiled the their top 100 books about anti-fascism. Her first book, “We Are On Our Own” ranks #38! And she’s in really good company as well. A show of artwork by Carousel contributors at the Dixon Place Gallery. 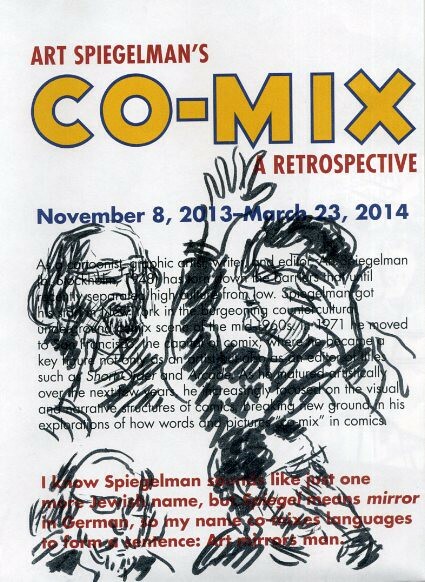 R. Sikoryak’s Carousel is Dixon Place’s longest continually running performance series, featuring a wide array of comic strip makers, graphic novelists, visual artists and luminaries from the downtown New York Theater and music worlds presenting work in front of a live audience. It seems only natural to show these artists’ work on Dixon Place’s Gallery walls. 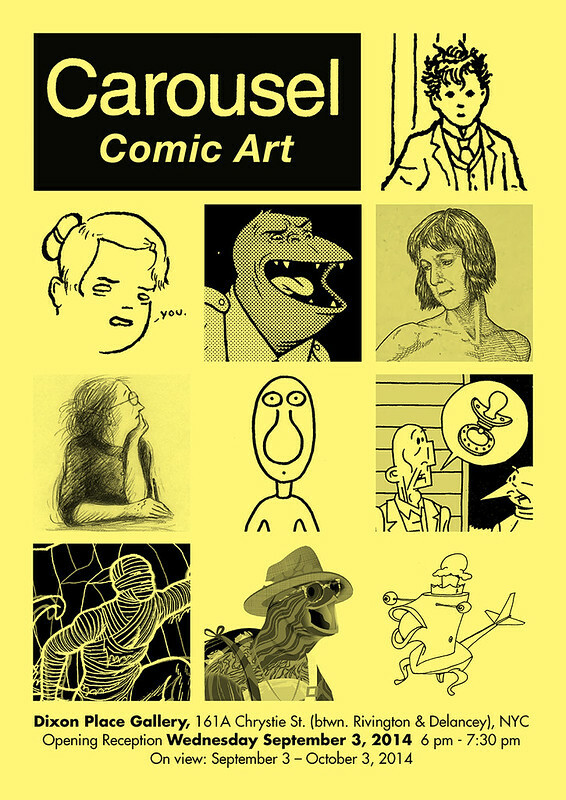 The exhibition will feature gag cartoons, graphic novel pages, painted storyboards and more. The opening on September 3 will be followed by the Carousel performance series in the theater at 7:30 pm, with live appearances by some of the artists showing work in The Gallery. 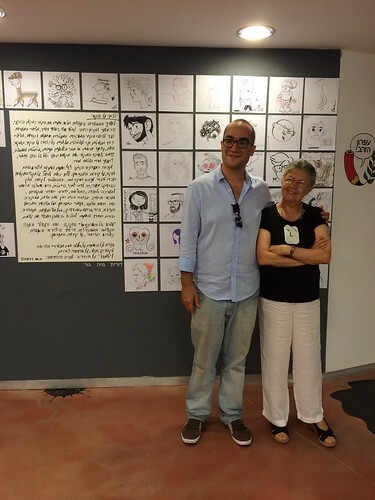 My Mom was invited to visit the Comics and Cartoon Museum in Holon, Israel. Added to this event is the fact that she has not been to Israel since we moved back the U.S. in the beginning of the 90’s. Unfortunately the link for their website that I found is not working. 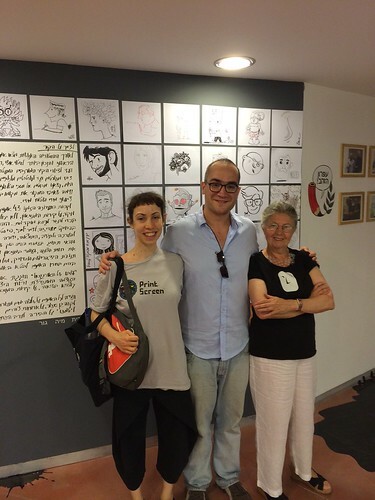 They were also joined by an Israeli comic book artist that my Mom met in New York, Keren Katz. 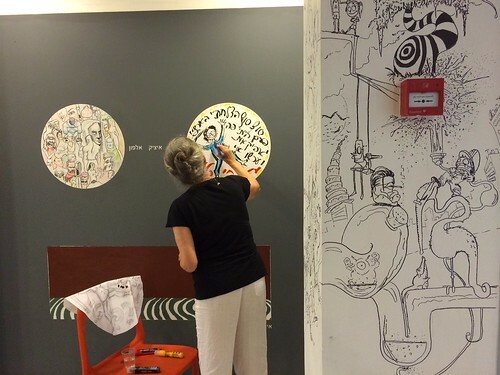 They provided bare walls for the artists to draw whatever they wanted on them and the museum saved a special section for my Mom to draw on. During my most recent visit to New York my Mom was interviewed for a documentary about Ray Favata, a former co-worker of hers from her days at Jumbo Pictures. 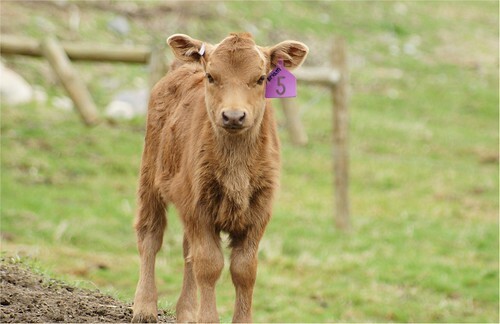 The interviewee was a woman by the name of Deko who maintains a farm called Stone Meadow with her family in upstate New York, where they raise Irish Dexter Cattle. 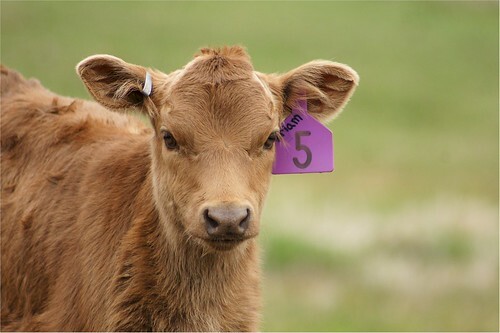 Just a few days ago my Mom received a message that a recently arrived calf at the farm had been named after her. Meet Miriam, aka #5. Perhaps she will be featured somehow in a future comic? 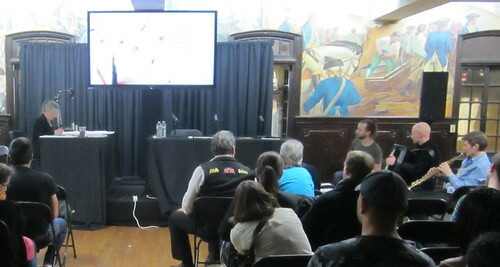 Last weekend my Mom was invited by Bill Kartalapoulos, director of programming for MoCCA, to perform a live drawing set. This is a first for New York (from first hand experience it is quite common in Europe). 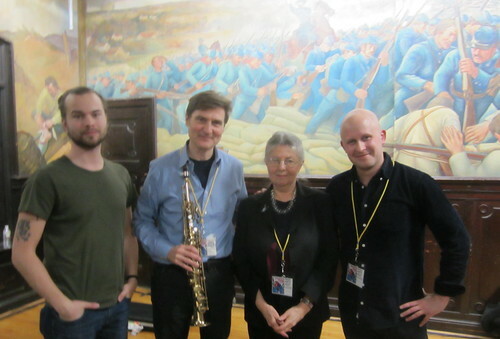 For the occasion a group from Finland called Comics In Concert comprised of Ville Ranta (a visual artist), Aleksi Ranta (his brother who plays guitar and Nico Kumpavaara, provided musical backing for Scott Campbell and my Mom. 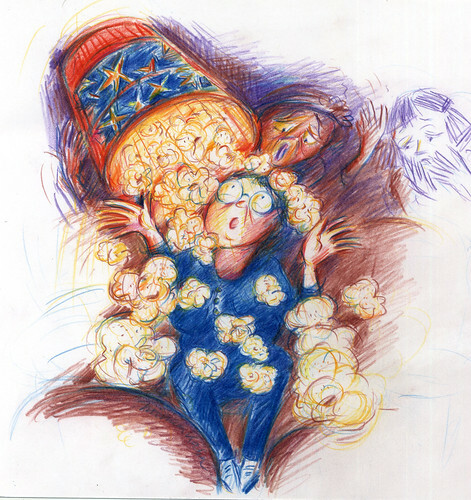 Drawings were improvised on the spot to the music. 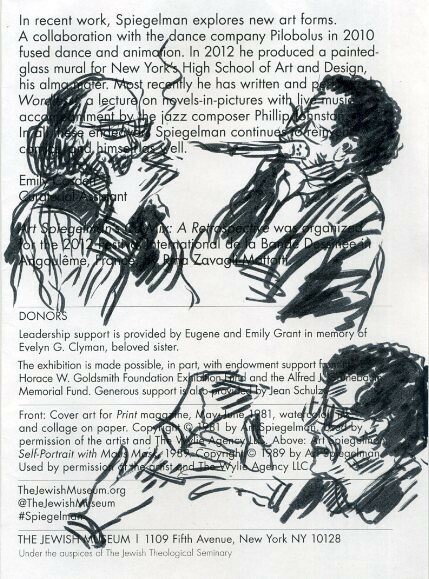 Later they were joined by saxophonist Time Ries who added a fiery klezmer element. My Mom was skeptical about this, but discovered she really had a talent for it. Probably a result of being married to a musician for so many years. This all took place at the Lexington Avenue Armory. Check out those murals in the background! Last week my Mom received an invitation from XXI Magazine Online to contribute a drawing to the Monday Drawing section of their site. The above is her contribution and you can view it in situ on the XXI website. According to invitation message XXI is a sort of New Yorker Magazine in France. As I posted earlier, the French translation of ‘LETTING IT GO’ was published recently and has been garnering much praise in France. As part of this, my Mom has decided to take a French class, so I guess next time I see her we’ll be speaking to each other in our respective abilities with that language. 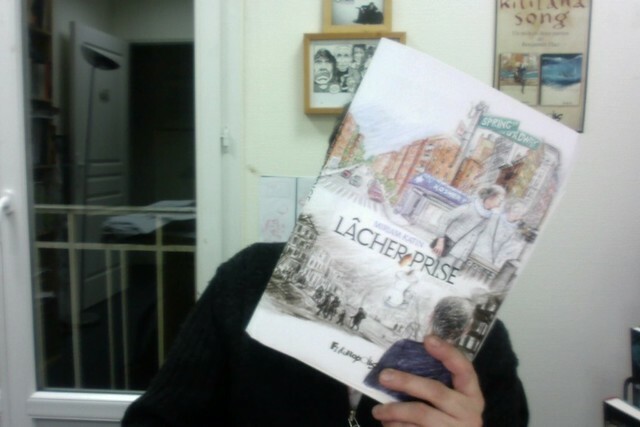 So we have a new year, and some new French editions of my Mom’s books! Oh, those French. They just love to make everything so specially theirs, and they have adorned these editions with unique covers. So touched by this, my mother has recently decided to study French. Now that I have written this, she will have to learn. A sneak shot of the up and coming French translation of Letting It Go. Just in time for the holidays? 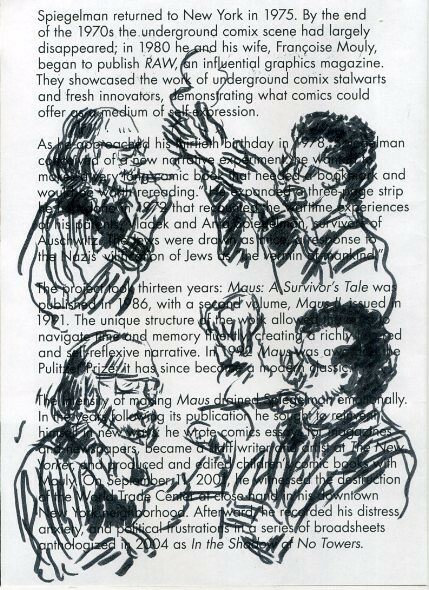 My mom attended a talk with Art Spiegelman and Tony Kushner at the Jewish Museum in New York. She loves drawing on the unfolding events on the programs of the events. Fun to see the general impression through all these crazy lines, and through it all its clear that Art loves to smoke. Next weekend my Mom will be at the International Miami Book Fair. Along with book signing she will partake in a panel entitled ‘Graphic Details: Confessional‘ along with some other great artists, one of whom I had not realized worked in the Graphic Novel format, Vanessa Davis, as she occasionally appears on The Daily Show with John Stewart with bitingly witty commentary. If you are already in Miami getting there should not be such a stretch, and if you are an avid fan of my Mom, graphic novels in general and need a break from the cold then this book fair is sure to warm body, from brains to bones.